She's out for blood and it's no laughing matter! One year after the events of Batman: Arkham City, Harley has come into her own and wants the Dark Knight dead. 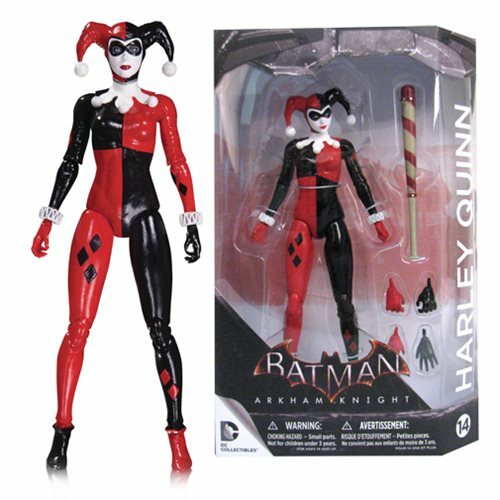 Based on the designs of the 4th installment of the Batman Arkham video game series, the Batman Arkham Knight Harley Quinn Version 2 Action Figure features Harley Quinn in her traditional black and red attire. Harley Quinn stands about 6 3/4-inches tall and comes packaged in a blister card. Ages 14 and up.